This past summer, I used my STEP funds to finance living accommodations in Chicago. 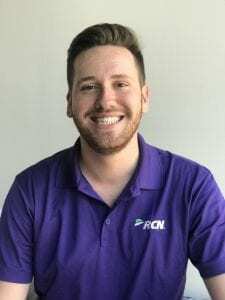 During that time, I worked as a marketing intern at RCN which is a cable, internet, and phone company. My internship and time in Chicago were incredibly formative and transformational for both personal and professional reasons. Personally, I learned a lot about time management, organization, and just “adulting” in general. Because I was so busy with my first full time job, I got a taste of what it will be like in the real world. 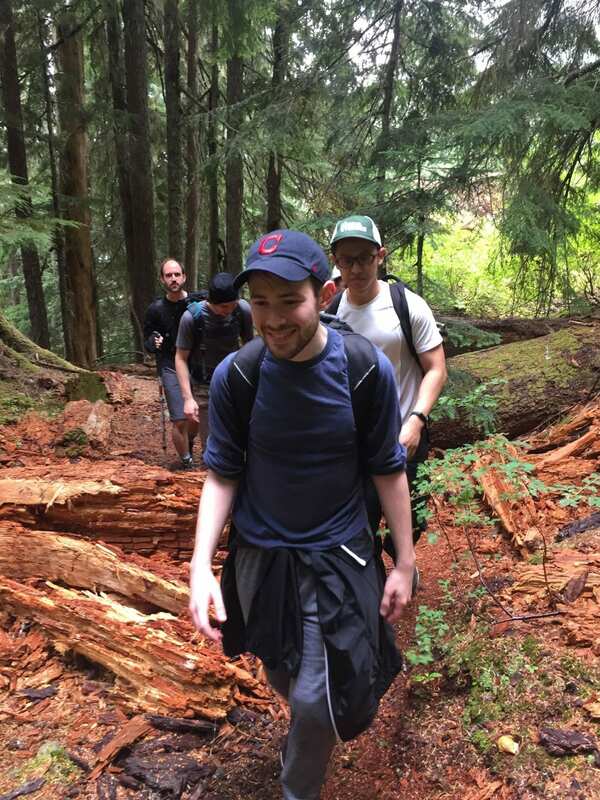 I had to learn about work/life balance for the first time and had a lot of fun doing it! Professionally, I dove head first into the workforce with no prior experience in an office job. I learned so much about how offices operate as well as how the marketing industry operates as it related to my job position. I took a lot of initiative and went above and beyond my job description which allowed me to learn of my workplace capabilities. The key aspects of the project that lead to my transformation were the fact that I was finally living in the city of my dreams, I did a phenomenal job at my first professional job, and I met so many incredible people. Being in Chicago was a great wake-up call and motivator to graduate next semester so that I can get a good job and move back there. There is something about being in the city that you know you want to live in forever that makes everyday life doable and fun. At my internship, I took a lot of initiative and always completed my projects thoroughly and on time. I continuously impressed my supervisors and made sure I took any critiques positively and with great value. This was such a great time for me to do real marketing work for a large company and actually see the results. Specifically, I created a training program for the high school sales interns so that they would have some organized direction that’s they seemed to be lacking when I arrived. This was a great way for me to take on a leadership role within the company that wasn’t necessarily assigned to me. Finally, in and out of the internship, I met some amazing people that have really helped me grow as a person. Many of my supervisors at RCN were able to provide some very valuable advice that has truly helped me develop as a professional. However socially, I met some people that are great friends and people who have really helped build my network. They have introduced me to the beauty of Chicago’s community and I am so grateful for this experience. The changes I have experienced this past Summer can be applied to every aspect of my life. Academically, I can apply my marketing experience to my coursework to help me better understand concepts. Professionally, I now have a great network of people who are truly rooting for my success and have offered to help me through this journey. 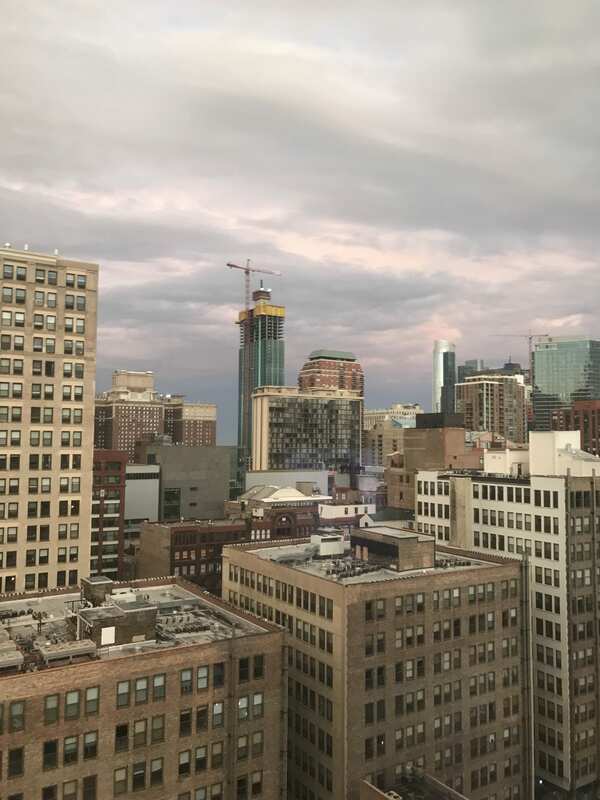 As these changes relate to my future plans, I have already envisioned an incredibly successful and happy life in Chicago, and this Summer helped solidify that vision. I am so excited to finish my last year at Ohio State and move on to the professional world in Chicago! 1. My STEP project was an un-paid internship for the Non-profit organization called PolymerOhio. PolymerOhio is a manufacturing extension partner program funded by state and federal government. It is one of seven centers in Ohio designed to support small and medium size engineering and manufacturing companies, with the goal of job growth in Ohio. PolymerOhio is dedicated to connecting these small to mid-sized companies with the latest trends in technology, expertise and resources needed for business growth. 2. The opportunity to work in the internship with PolymerOhio gave me a glimpse into the working world. It allowed me to learn from Bruce Fawcett (Executive Director), Greg McMahon (Program director), and Virginie Donoghue Program Manager). In the intern role, I learned that I am a valuable source of information. I believe this has given me more confidence, knowing I communicate well, and I can contribute to a company. The internship has given me a chance to see my current education as a concrete stepping stone to my next level. From this particular internship, I have also learned of the importance of my field of study in the growth of the jobs in Ohio and the extent of the Ohio industry in regard to the US and world. Personally, this experience has shown me how important my education at Ohio State University can be in my goal to be a part of technological advancement that improves lives and preserves resources and environment locally, nationally, and worldwide. 3. My close interactions with Greg McMahon and Virginie Donoghue was invaluable. The relationships I developed with these knowledgeable and experienced engineers helped me to see my place in the field as a working individual capable of someday contributing to a company in a significant way. I also gained further insight into my ability to communicate well with others and get along well. This is natural to me, and the experience allowed me to really see its worth. Having the opportunity to interact with LEAN SIX SIGMA, and training for a week with MEP network professionals, as well as meet Master Black Belt professionals, and learn directly from them was interesting and invaluable. It was an up-close experience with professionals and I could see myself as one of them someday soon. This experience also allowed me to see that I am comfortable communicating and sharing my ideas, even as an undergraduate intern. On an in-depth tour of the Velvet Ice Cream Company, along with industry professionals from Licking County, I got to see how a local company has grown and developed along with the industry, and how it contributes to local jobs and beyond with its factory and state of the art distribution center. My research projects not only furthered my knowledge, but also sparked my interest. I spent time researching the following: Bioplastics and analysis on the state of the industry, Cobots (Collaborative robots) and their roles in small to mid-sized companies, Cybersecurity and Cryptology. I learned through my research and my time as an intern with PolymerOhio how important my choice to study at Ohio State University has been. Ohio is one of the largest polymer industry cluster in America and is the number one producer of both plastic and rubber products contributing greater that 50 billion into Ohio’s Gross Domestic Product and greater than 81,000 skilled employees in Ohio polymer work force (8% of all US jobs). Ohio is a leader in the worldwide industry, as well, with seven Fortune Global 500 companies. Ohio’s industry is forecasted to see increased investments leading to increased dollars and jobs. with several other local and regional professionals throughout this internship gave me confidence and allowed me to see myself as a future contributing engineer. I’ve learned Ohio has many opportunities to grow and develop my professional goals and also serve as a springboard to where I’d like to be ultimately. This internship has been a significant experience because it has helped me articulate what I’d like to strive to become and I’m excited about that. As a Humanitarian Engineering Scholar, our advisor was my first mentor and I had a chance to be around others with similar approach to life and work. I hope to continue that outlook and combined with my Material Science Engineering degree find a job that also aligns with my personal values. My STEP Signature Project was participation in the Fisher Global Internship Program in London, England. I traveled there with 40-50 other students and we all lived together for the summer in student housing. For my internship, I worked full-time at a small startup as a digital marketing assistant. I learned a great deal in the duration of my STEP Signature Project, most significantly about myself and my career interests. My personal growth was achieved through my time with the other Ohio State interns in the program as well as the countless people I met while in London. The nature of my growth was the confidence I gained from being with a group of strangers and being able to thrive. This social accomplishment was especially important to me because I was anxious before departing for my project that I would struggle to make friends on the trip. My second most important area of growth achieved through my STEP Signature Project was skill-related. My work as a digital marketing assistant was extremely fulfilling and gave me the freedom to learn while making my own creative choices. I was tasked with managing social media and making digital marketing campaigns, all of which I was able to make nearly every creative decision about. I taught myself a lot of skills on Photoshop and produced content for the company I was genuinely proud of. As noted before, I was anxious about the social aspect of the trip, as I am often shy around people I don’t know and worried I would struggle to make friends on the trip–which was a crucial aspect of being abroad. I made the decision early on to force myself to spend time with people in the group and display a genuine interest in the people I was with. I got to know and share meaningful experiences with many people on my trip and maintain their friendships still. I also made several friends who lived in London, which made my STEP experience even more special. 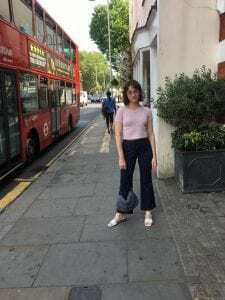 While in London for my program internship, I was lucky enough to have the opportunity to also work a week-long internship at Diane von Furstenberg. This internship was also fantastic as I was able to work at a big designer brand I have always admired. I spent a lot of time with the other interns, who were from an array of European countries and in London for school. While it was invaluable to have formed the friendships I did with other OSU interns, I have to say that the friendships I was able to form with people from around the world were the most significant. Working at a startup company ended up being fantastic for my internship experience. Since the company was so small (4 total people including me) and new, there was no set direction on how anything was supposed to be done. For my position, this allowed for me to spend a lot of time creating any kind of content I wanted. Throughout the summer I wrote articles, made Instagram and Facebook posts, and created marketing lead generation campaigns. My personal growth is extremely important for the rest of my life because I gained confidence and social skills I did not have before. I learned through the program how to engage more effectively with others and make more personal connections through kindness and genuine interest. Personal confidence and social skills are important at any age, but especially as I am approaching the time in my life where I will soon be out of school and forced to make new friends in a new place. My professional growth is enormously important because I have gained the skills and experience to make myself a more qualified candidate for full-time positions. I know that I want to work in fashion content, and being able to work as a digital marketing assistant confirmed this. I now have a more focused and clear view of what I want to do as a career. My STEP Signature Project this past summer involved interning at a potential company that I may work for full-time and learning to become independent. I mainly designed civil portions of bid packages for oil and gas project utilizing AutoCAD Civil 3D and coordinated with project team members to finalize design bid packages. I also spent the summer learning to care for myself on my own by exercising and learning to cook nutritious meals after work. My original understanding of myself was that I was going to be given small tasks that would minimally build my knowledge and character. After onboarding at the firm however, I noticed that my internship was going to demand for me to push myself and be placed in uncomfortable situations. For instance, I was given tasks and design work with real deadlines and was scheduled to present in team meetings in front of full-time engineers and project managers. I was also sharing some of the assigned work with new-hires, realizing the change of difficulty in work assigned to me. EN Engineering pushed me to use not only the knowledge I have acquired at Ohio State, but to also learn on the job new concepts and information about the oil industry. The company wanted me to fully take advantage of the real-life work and opportunities that they were willing to provide me this past summer. I also assumed that I would not do any activity other than watching television after work because of my exhaustion with work and my daily, overall two-hour commute. However, I began to notice the change in my routine after work when I joined a gym as my motivation to do something other than watch television after work. I started packing gym clothes to go directly after work to not be unmotivated if I went home first. I also saw a change in myself by becoming more aware of my nutrition. I started cooking less processed meals and aiming to only eat home-cooked meals. I also aimed to get at least eight hours of sleep to be able to fully throw myself into work as well as the gym after work. My relationship my mentor assigned to me at work was one of the factors that lead to the change in work experiences. My mentor was not afraid to teach me concepts that I would later learn back at school. He knew that by giving me the opportunity to learn, I could then be pushed to apply the skills to assigned work projects he had at his possession. I was given mini lectures and notes by my mentor that then gave me the confidence to try design projects from clients. My relationship with my mentor also gave me the confidence to ask any question, therefore allowing myself to continue to grow in knowledge and personally. My interaction with other coworkers contributed to the change in tasks. More workers took the time to stop by and greet me and learn more about myself and my capabilities. This then led to more opportunities to try new projects in other departments like the gas sector. For instance, a young engineer at the company was swamped with work and after talking to my mentor and I, he thought we could both help each other by dividing up the work. I was able to try a new design skill with the help of my mentor and the opportunity given to me with the interaction of the young engineer. For example, I learned a new software called Hydraflow Storm Sewers Expansion program and sized a storm sewer layout for a commercial plant. These work experiences I was receiving were not fetching coffee but fulfilling the role of an entry level engineer at my summer firm. Going directly to the gym after work led to avoiding watching television until work the next day. I found myself wanting to take care of myself after a long semester at school of putting self-care on the side. Packing my gym bag and a snack made me avoid seeing the sight of my couch after work and instead going to cycling classes to let off the daily stress or reflect on my day at work. After two weeks, I made it a habit to go straight to the gym after work. I begin to also fuel myself for a full day of work and working out afterwards by cooking my own healthy meals. I checked out cookbooks from the library and spent the majority of the week eating home cooked meals to optimize my nutrition. I did my own grocery shopping and read labels and picked unprocessed foods as my main ingredients in my daily meals. I spent the summer transforming into a person that is capable of taking care of themselves without family support. These two main changes are significant in my life because they align with my professional and personal goals. One of my goals is to work as a consultant, and this past summer I was given the opportunity to design real projects for clients. I can use this experience for upcoming internships and my full-time by being able to apply what I learned in the projects given to me at EN Engineering. Also, the skills and knowledge I gained can be applied to the remaining coursework I will taking at Ohio State as well as in my next opportunity to work professionally. The change in regards to becoming more independent is valuable because when I graduate, I will need to know how to take care of myself while working and being away from my family. Learning to cook healthy meals and making exercise a daily habit allow me to see that I can work wherever I want because this summer allowed me to see that I am capable of being independent. My STEP project was an internship with Humana in Louisville, KY. This internship was focused on mobile application development, which correlates to my major in Computer Science and Engineering. During the 12-week internship, I learned a lot about myself, my interests, and corporations with technology. I got to explore multiple aspects of Computer Science while in Louisville, including mobile development, front-end work, back-end work, and creating APIs. I learned different tools during the summer as well. On top of this, I learned about corporate policies and processes. These are things that will help me in my career post-grad. I made many relationships with people at Humana throughout the summer, which led to me learning a lot about myself and the corporate world. Mick Horton was the Vice President of the department I worked in and he taught me about the processes in Humana. I also worked on a team with 3 other interns, which taught me about how I work with different types of people. Each of the team members were from different backgrounds. I learned about different cultures throughout the United States through these people. I also had multiple mentors throughout the summer, which helped me gain different perspectives. I learned about how to approach things when you’re out of college and how to make decisions on how to choose a place to work. Throughout the summer, my team utilized the Scrumban software development methodology. We took turns being Scrum Master, allowing me to have a leadership role for parts of the summer. Because we used sprints throughout the summer to separate our work, I got to see different aspects of the project. I worked on the database using SQL. I worked on a RESTful API in C#. I worked on the front-end in Swift. I scheduled jobs in Linux using Cronjobs. This allowed me to discover what I enjoy within technology. These transformations are valuable for me because they will help me decide where I want to work after college and what part of technology I want to work in. Without this experience, I would be clueless going into my career after I graduate. Another goal of mine is continuous improvement. This summer really allowed me to improve who I am and what I stand for. It was my first experience living in a city where I knew almost no one. I learned how to work with people, which will stick with me for the rest of my life. These experiences can translate to any career throughout my life. For my project, I used an XCT scanner to scan fossils of the Devonian Silica Shale of northwestern Ohio to look for preserved soft tissues. The fossils from this unit are commonly associated with pyrite, which provided a good chance that some soft tissue could be preserved. From my scans, I found some amazing results including gut systems in trilobites and muscle sets in brachiopods. This experience was transformational for me because it was my first real opportunity to finally do the work that I love. I have wanted to be a paleontologist since I was very young, but I had never really got to experience it. Through my research I came to realize that this is truly the career for me. At every new discovery, I found myself asking more new questions. My curiosity was an itch that could never be completely relieved. My understandings of earth science also changed quite drastically. I learned so much about the preservation process and why fossils preserve with different quality. It was fascinating to go behind the scenes at the museum to see the collections and to pick out specimens for me to scan. The Orton Museum does so much great work cataloging and maintaining specimens so that students and faculty can have access to them for research. I also learned about myself through this project. As the project went on, I found I got better and better at determining the next step in the research. I got much better at asking the right questions to continue the investigation. This was great for having brief and efficient meetings with my advisor. We could both discuss the topic and further develop my questions to the caliber of publishable research. I am so glad to have worked on this project with my advisor, Dr. Loren Babcock. Beyond guiding me through the research, he provided me with excellent insight into the inner workings of a career in paleontology. During our meetings we would talk about the future of the field and prospective investigations in addition to the current research that I was working on. It was great to be able to see into how a professional scientist formulates and modifies questions into a testable hypothesis. He also guided me as I began to look at graduate schools, which was incredibly helpful. Another fun aspect of this project was working over the summer. It was very different to be able to solely focus on research without worrying about classes. I liked it very much. 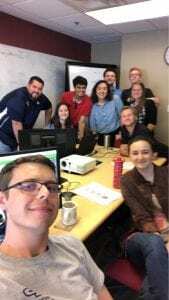 There were other students also working on research over the summer (both undergrad and graduate), so it was exciting to hear about the other cool investigations going on. The experience was important for me because it further solidified my goals to become a paleontologist. It was great to be able to experience this as a an undergrad because it showed me that this is in fact the type of work I would like to do in the future. As well, it gave me invaluable experience related to my field of study. I will be presenting my research at a professional conference in November, and I am looking forward to showing my work to other people in the field of paleontology. I will be able to include this experience as a key talking point on my resume to show future graduate school advisors or employers that I have worked on academic research. I learned many skills including multiple computer softwares for visualizing images in 2D and 3D. I also got some great advice from my advisor that will be pertinent to my search for the right graduate school and beyond. I hope to publish my findings in an academic journal, and it would be fantastic to have a paper published in my name as an undergraduate student. For my STEP project, I interned at the American Heart Association in Columbus, Ohio as a Heart Walk Intern. My role largely consisted of me helping out with whichever tasks were necessary in order to move the event preparations along such as logging donations, reaching out to volunteers, and gathering the equipment necessary for the Heart Walk. One of the biggest personal transformations I have noticed since the completion of my project is a greater appreciation and understanding of being a team player. Never before had I had a hand in planning an event as large as the American Heart Association’s annual Heart Walk. I had not realized the extent of attention to detail as well as having the confidence to rely on others that they will complete their tasks that is demanded by such a large event. This realization also influenced me to always be putting forth my best effort, especially because I knew that the success of my coworkers’ endeavors, as well as the event as a whole, depended on it. This project has inspired me to always go the extra mile, and has also shown me how easy this can be when you are working toward a cause that you are passionate about. One of the most positive aspects of my internship was the rapport that I built with my supervisor, Jen. I believe that Jen pushed me out of my comfort zone in a lot of ways. She would often give me a task which I felt was particularly daunting or that I was not quite sure that I had the ability or resources to successfully complete. Somehow, I always managed to get the job done and she would express that she knew that I would be able to do it all along. Knowing that the tasks I completed were ones that I had initially deemed impossible made the experience all the more rewarding. I could tell that she genuinely appreciated my work and this made me all the more eager to continue doing well and taking on more tasks. One event in particular during my internship which enforced the importance of teamwork was when I was part of a video shoot for a collaboration between the American Heart Association and Run Like a Girl, which is an organization which develops walks, runs, and 5K’s geared toward girls aged 14 and younger. Going into the day, I definitely felt nervous because I had never been involved with a video shoot on this scale before and also because I would be featured in the video. Once things got started, I soon realized that this was a casual, collaborative setting and instantly felt more excited than I did intimidated. We took various shots of us running, walking, and stretching all while wearing our AHA and Run Like a Girl Gear. Once things got underway, my supervisor would ask us for our suggestions of what we should shoot next. I ended up being filmed running full-speed down a hill, which if you had asked me at the beginning of the day, I would never have predicted. 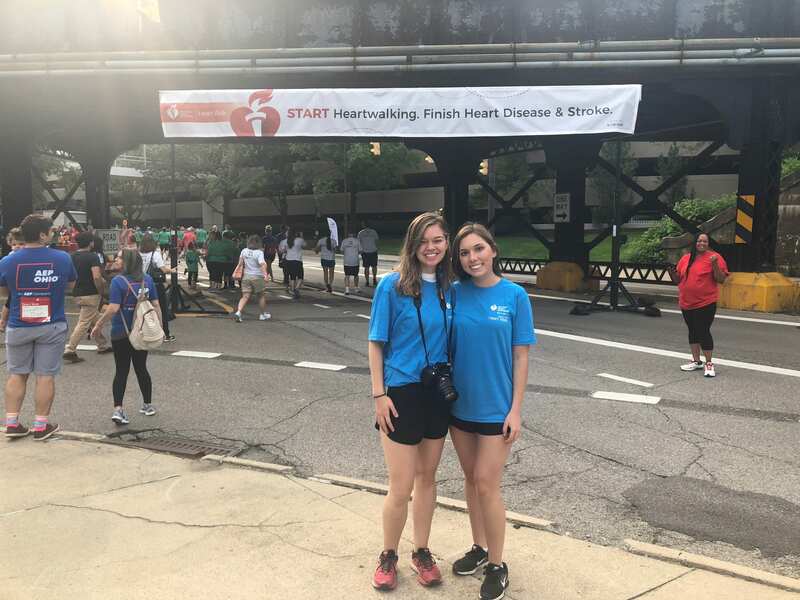 A final example of teamwork and its impact on me throughout the duration of my internship was the day of the Heart Walk, August 25th. It was so rewarding to see the things that I had been working on all summer finally come to life, such as the obstacle course I designed for the “Kid’s Zone” as well as the infographics I had created for various booths that were there at the event. My fellow intern and I worked the “Selfie Station,” which was a tent with various backdrop options and silly props. To my surprise, our station maintained a massive line throughout the duration of the event. It was incredibly heart warming to see all the families and friends coming together to celebrate their loved one’s victory over heart disease and be able to enjoy themselves in such a positive setting. I also had the privilege of taking photos at the survivor finish line, which is a special area at the end of the race for those who have battled heart disease. 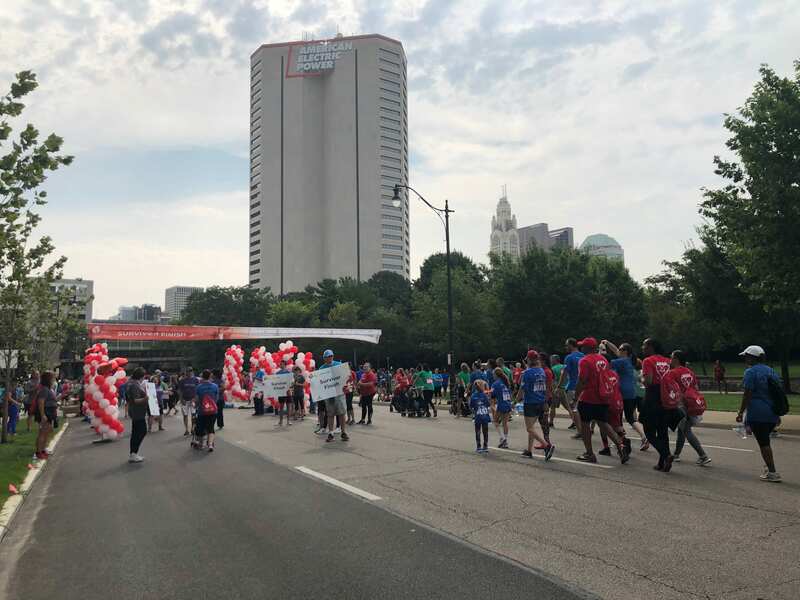 At the survivor finish line, they are greeted with cheers, handshakes, and a medal from all of us at the American Heart Association. I found myself getting emotional seeing the love and support surrounding the survivors as well as the strength which allowed them to still be here today. The ability to see first-hand the way my hard work was impacting others was an experience I would not change for the world. I believe that this newly-honed skill will be especially valuable to me in my future career as a nurse. Being a successful nurse requires you to be working to the best of your ability 24/7, because slip-ups or carelessness in this field could cost a patient their life. A good nurse is also someone who is not afraid to ask for help when they need it or someone who is ready to step in when someone else needs assistance. It is often nurses to be the ones interacting with patients the most, and therefore ultimately they can determine whether a patient’s experience is more negative than it should be. I am very grateful to have had the opportunity to intern with the American Heart Association this summer because it allowed me to be a reliable and appreciative team member, as well as contribute to a cause larger than myself. This summer, I had the privilege of being the KidSMILES outreach intern. KidSMILES is a non-profit pediatric dental clinic that does not accept dental insurance and only charges $20 a visit. 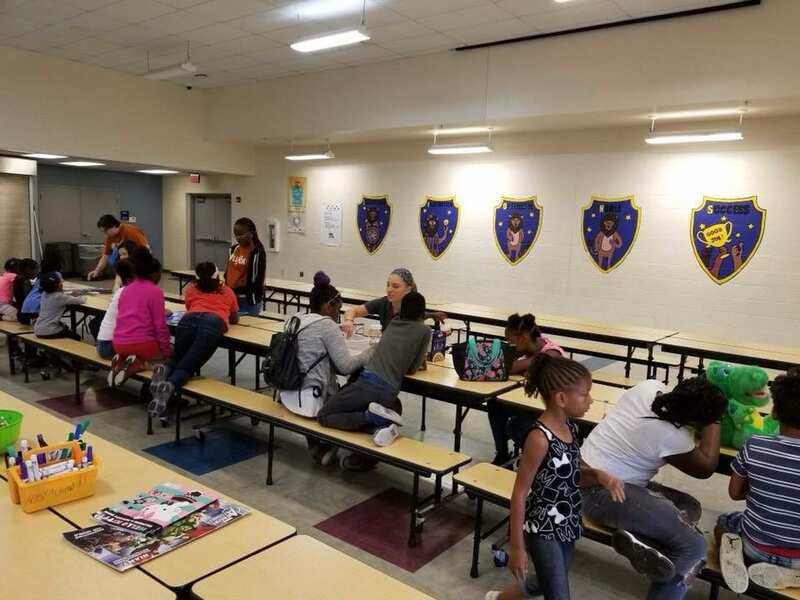 Through this organization, it was my responsibility to contact schools and set up a time for volunteers to come talk to the children and educate them about dental hygiene through a series of interactive games. Prior to beginning this STEP signature project, I was not aware of the honest impact dentistry can make in the lives of others. Growing up, I was extremely privileged and going to the dental was a regular routine for me. Unfortunately, through this internship I quickly learned that is not the case for all. This summer I had the opportunity to improve the access to care issue in the dental field. Dental hygiene knowledge is not well known throughout the general public, so it is very important to me to teach children young proper dental hygiene to prevent them from expensive procedures in the future. I know most know it is important to floss, but are not fully aware of the negative reproductions they can face in their mouth if they do not do so. Through a series of interactive games children were taught proper brushing, flossing, and nutrition to in order to prevent the painful mouth pain they can experience in the future if proper techniques are not performed. After the presentation, we gave the children a goody bag filled with a toothbrush, toothpaste, timer, and information regarding our dental clinic. I would always leave the outreach events with an overwhelming feeling of satisfaction. I know I am recruiting patients for our dental clinic that will help our clinic excel as well as improving the lives of these children. My hope is these are skills these kids will practice now which they will carry with them for the rest of their lives. I have become very aware of the lack of dental knowledge in the general public. Through this internship, I have single handedly been able to improve that problem. Since I began this internship, KidSMILES has received a grant that allowed us to hire a part-time dentist. This is extremely exciting because we now have 2 set days in the clinic, as opposed to relying on various dentists to volunteer a handful of times throughout the year. When I was doing outreach events in the school year, I would send kids home with a flyer about our clinic to inform the parents and the parents would soon find out there is a long waitlist to get into the clinic. Now that there is a part-time dentist, I can confidently give the flyer to the children knowing they will be able to see a dentist in the very near future at our clinic without a problem. This internship has completely changed the way I view dentistry. I just applied to dental school, and I want to one day open my own practice. As a dentist at my own practice, I am limited to only helping those that can afford to come to your practice and that is very frustrating to me. 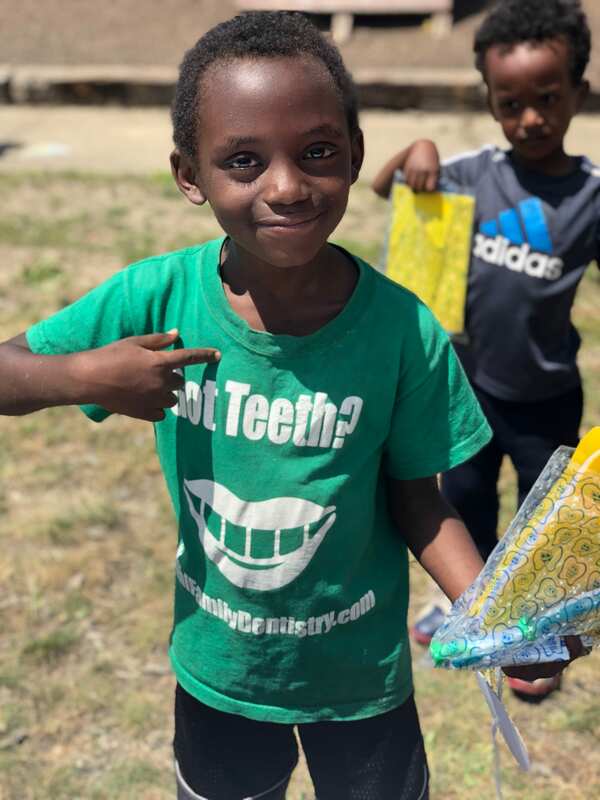 After working with KidSMILES, I know when I am a dentist I will dedicate one day a week to a nonprofit dental clinic to help those that do not have dental insurance and cannot afford to go to the dentist on their own. I will also continue to educate the public on dental hygiene and the negative effects that can result if proper dental hygiene is not performed. Together, this can not only change the lives of so many individuals, but will change the future of dentistry. 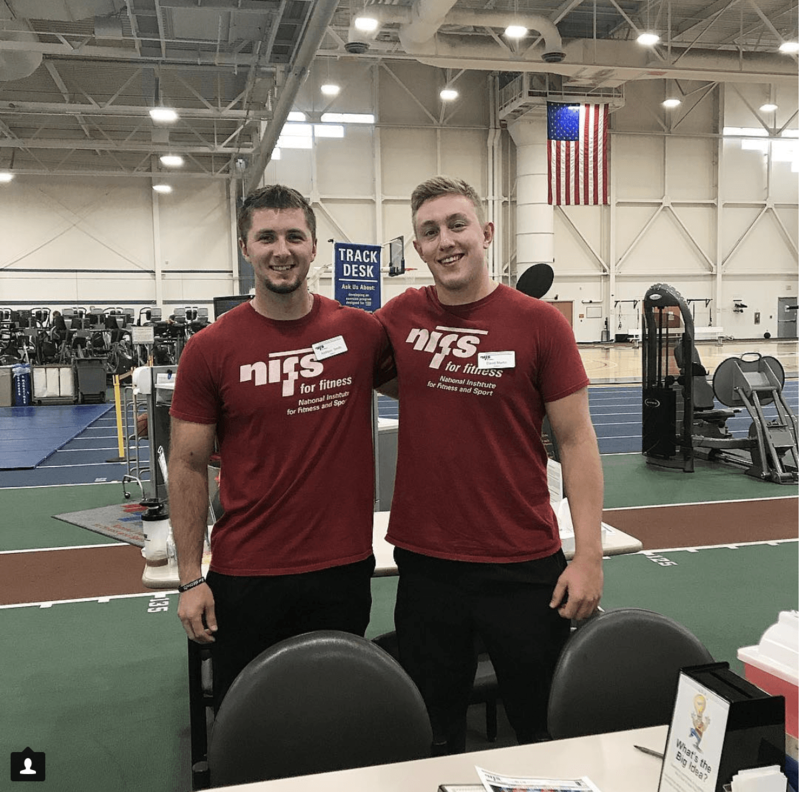 The Internship I completed at the National Institute of Fitness and Sport (NIFS) in Indianapolis, Indiana was a very educational experience in which I worked in a state-of-the-art fitness facility. Predominately, I oversaw everyday activities in the fitness center and trained clients under staff supervision. 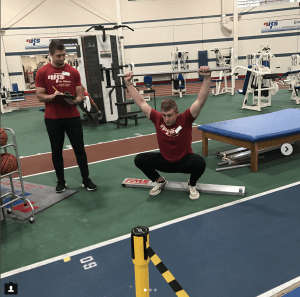 A portion of my time was spent with strength and conditioning coaches affiliated with IUPUI’s women’s soccer and women’s basketball teams. Additionally, I collaborated with staff to organize Health and Fitness programs and philanthropy activities and occasionally travelled to corporate fitness sites and fitness-related activity fairs. 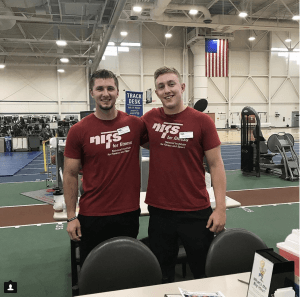 The aspect of the internship I completed at NIFS that I have come to appreciate the most is the wide-scope of fitness-related activities that I was able to experience. This variety has allowed me to gain a deeper understanding of the fields that I am passionate about. 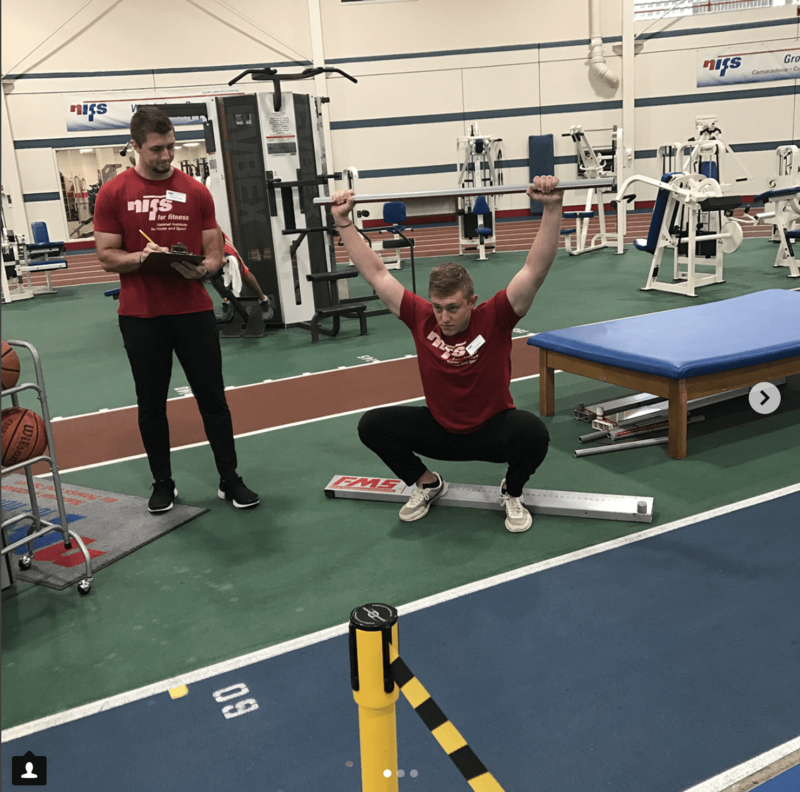 Years ago, if I were to be asked what I would like to pursue as a career, I would respond “I want to be a strength and conditioning coach for athletes.” I can definitively say that after this internship experience, I would like to pursue another area of the Health and Wellness Field. With this being said, at this time I am uncertain as to where I will work after college, or if I will continue to further my education, but I do have a perfectly clear vision of what I would like to do in my professional career, and this is to enhance the lives of others by providing my knowledge and talents so they can maintain a healthy lifestyle and achieve their fitness goals. Although it may seem that I have a considerable portion of uncertainty in my life right now, I still consider the realizations I have acquired from completing this internship a success, because the practical experience I gained from the 14 weeks at NIFS allowed me to realize my true passions. Several events transpired throughout the duration of my internship that were particularly impactful in helping me narrow down my professional goals. Specifically, through this experience, I realized that some of my greatest passions lie in incorporating fitness into philanthropy events, helping others achieve their fitness goals, and continuing my education. An event that I helped to organize and complete is called the NIFS, “Wag ‘N Walk.” This event was a 1.5 mile walk that encouraged participants to bring their dogs, as the organization benefitting from the event, “Paws & Think, Inc.” is an animal shelter that also funds therapy dogs. I have always enjoyed volunteering for philanthropies like this, however, helping to coordinate this event by managing its logistics and incorporating fitness into it was fascinating. Seeing my work to market the event, put “goody bags” together for participants, and working on registration come to fruition to benefit others was extremely rewarding. My work with this event inspired me to continue to incorporate fitness into philanthropy events, as I learned when you are passionate about an event like this, the result is extremely satisfying. Similarly, I found the personal training of one particular individual to be very impactful. This individual was of similar age to me, and had little experience working out. 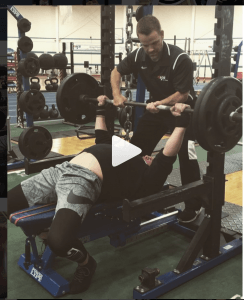 By providing him with an extensive tour of the fitness center was able to help him acclimate to a completely foreign and sometimes intimidating environment. After I explained some of the fitness equipment to him and discussed further measures that could be taken so he could determine what routine would best fit his goals. Eventually, I completed some personal training sessions with this individual while under the supervision of a NIFS staff member. Overtime, this individual continued to come back to NIFS and pursue his fitness goals regularly, and to think that our time together might have positively impacted him to adopt healthy habits is extremely rewarding to me. The feeling I got from this experience ensures me that I am following through with my passions as I help others fulfill their potential through fitness. The final interaction that I think will prove to be most impactful was with one of the staff members of NIFS. In the past, I had thought that furthering my education with a graduate school program was not for me. I was not convinced that extra schooling would prove to be beneficial to my career goals. I also have felt that there is a disconnect between high level academia and practitioners of fitness. One of the NIFS staff members I worked with was around 10 years older than me. He could have settled for a job that he was not truly passionate about, yet still have made good money. This individual has also excelled in both powerlifting and bodybuilding, two activities that I am passionate about. Seeing him take the extra steps to continue his education so he can pursue his passions while still practically enjoying his fitness-related hobbies. At this point, I think I will do the same to pursue further education. The culmination of these experiences has led me to gain a more complete appreciation of the impact of my college education. It has been rewarding to see how things come full circle. To know that the subjects that I have spent hours of my time studying can benefit my professional career is rewarding, and to learn from others while in the practical setting of an internship is what growth means to me. My fellow intern Addison and I posed for a picture on the last day of the internship. I was able to form a lasting relationship with Addison throughout the 14 weeks at NIFS that I know will last a long time. The things I have learned from STEP and in extension my internship at NIFS have been the most significant professional learning experiences I have had in my life. This learning has manifested in several ways. In terms of academics, after observing the requirements that running a fitness center demands, learning how to design successful fitness related programs, and understanding how to motivate people to participate in them has added a new significance to my coursework. Putting the theories that I have learned in the classroom into application in the work place has undoubtedly motivated me to do my best in school this year. After gaining practical experience at NIFS, I have been able to differentiate what some of my true passions are, and what I do not enjoy doing as much. This will prove to be invaluable as I decide where I will be happiest in the work force in the years to come. One of the things that I appreciate most about my internship at NIFS was the diverse staff of Health-Fitness Specialists. Each member of the staff was different in their passions and specializations. I learned that it is okay to specialize in what I am passionate about while still keeping a healthy balance of other fitness disciplines in mind. I think this mindset will help me be not only successful, but also happy about the professional career I will embark upon, which ultimately is one of my highest priorities. The final picture was an example of bench press form that was posted to NIFS’ social media. I frequently “tookover” the social media to draw engagement from younger crowds and generate new, fun content.